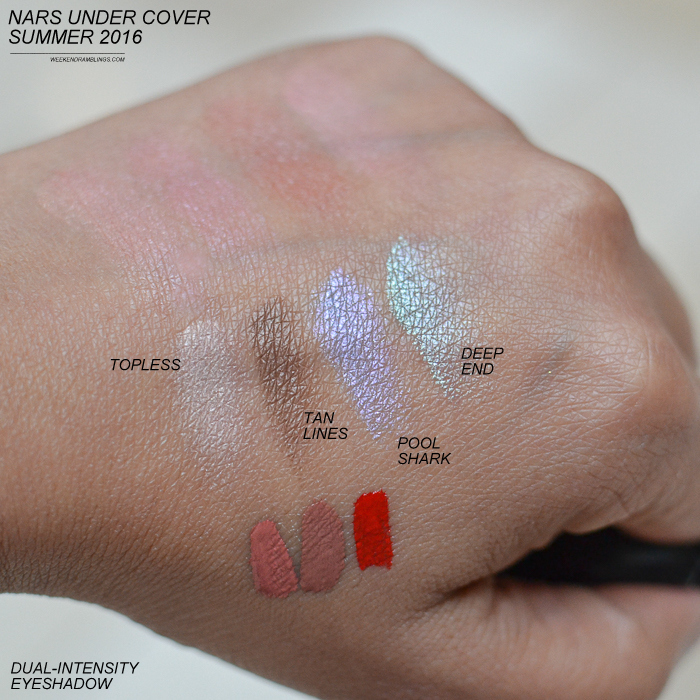 A little late in the game, but I finally got some swatches to share for the NARS Summer 2016 - Under Cover makeup collection. There are a couple of other products that are part of the NARS 2016 summer offering - blush and eyeshadow palettes - but that's another collection (and I think some are exclusive to narscosmetics.com at least for now). 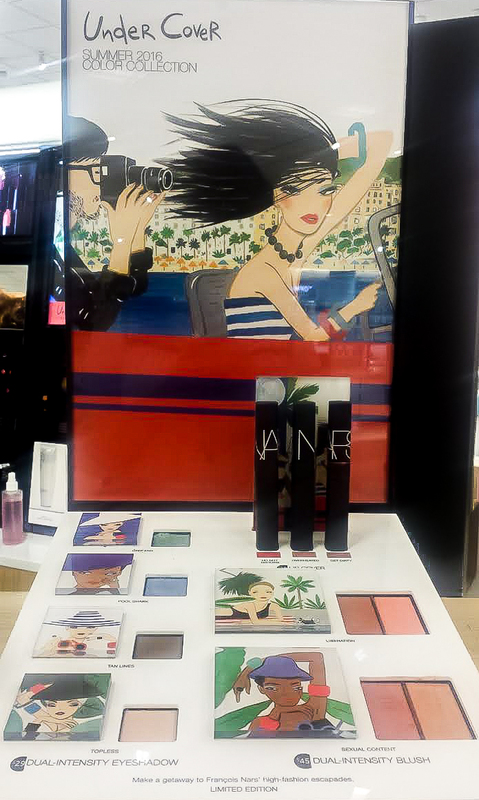 The Under Cover collection is inspired by Francois Nars' love of photography and the glamorous French Rivera. 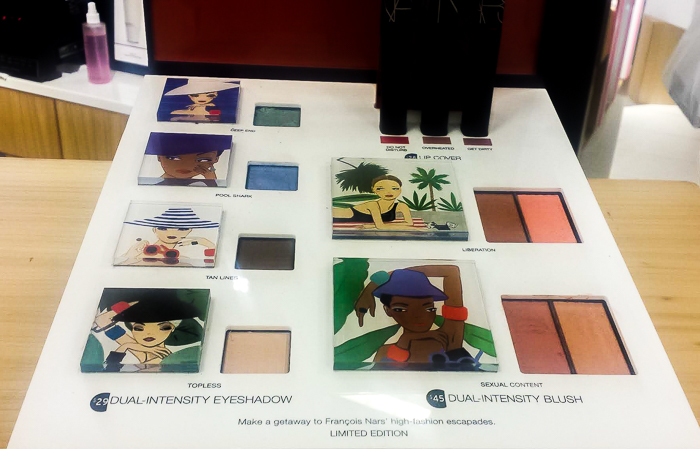 The limited edition pieces feature fun packaging with original illustrations by contemporary artist Konstantin Kakanias. Apart from dual-intensity eyeshadows and blushes, this collection introduces a new product to the NARS makeup range - Lip Covers, liquid lipsticks with rich color payoff. Scroll on for more photos and swatches. Included in this collection are two dual-intensity blushes and four dual-intensity eyeshadows. 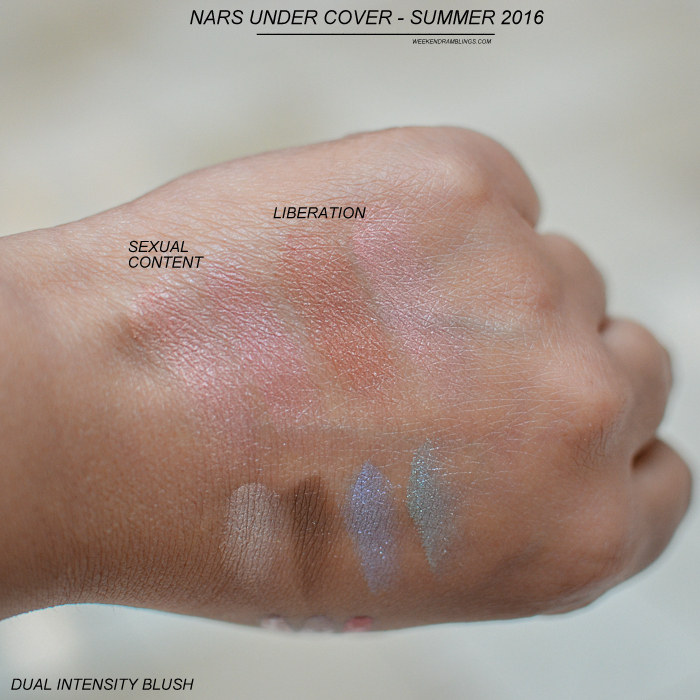 I have never been a fan of the dual-intensity formula, not just with NARS but with similar products from other brands too. I prefer a single-intensity, use-dry formula, but that's just me. The swatches below are dry, and used wet, the colors would be a bit richer and with more dimension than in the pics here. The only products from this collection that I think are pretty awesome are the Lip Covers. This is a new liquid lipstick formula with rich saturated colors and a glossy/creamy finish. There are four shades introduced as part of this collection - Get Dirty, Overheated, Do Not Disturb, and Members Only (crimson shade that is exclusive to NARS boutiques and narcosmetics.com). 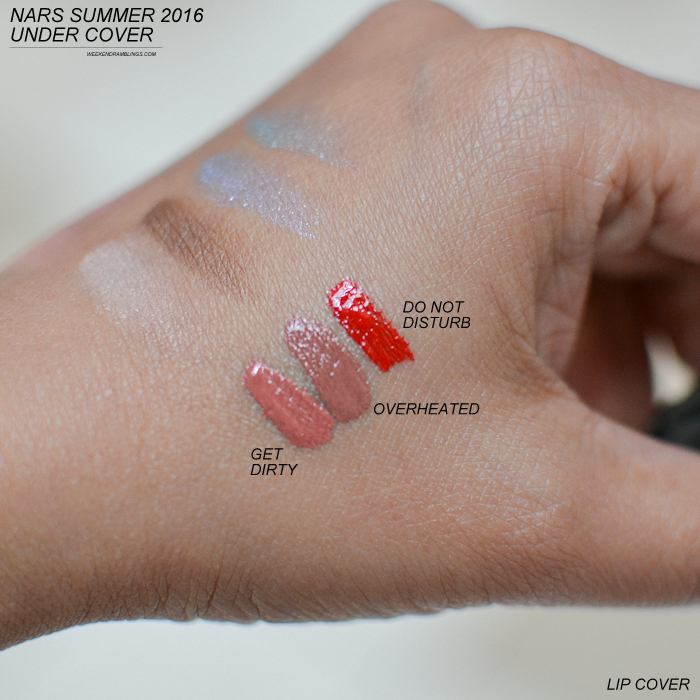 Overall, the NARS Under Cover Summer 2016 collection doesn't really impress me much. A big plus is the packaging - definitely something that's fun to collect - but I amn't a fan of the dual-intensity products. For those who like this formula this collection would be a good buy. The Lip Covers get my vote - the color intensity is amazing and the formula feels creamy and non-drying. Lovely <3 I think I'm going to get all :D Great Post!